In the last sev­er­al months, I have had many ques­tions on cal­ci­um and what is too much cal­ci­um. Unfortunately the research sup­port­ing prop­er cal­ci­um sup­ple­ment­a­tion has been around for a long time now, but when pop­u­lar media shares a news report on “take cal­ci­um”, the aver­age per­son who does not under­stand how bone health really works just goes out and does exactly that. The prob­lem with cal­ci­um sup­ple­ment­a­tion on its own is that when there is excess cal­ci­um in the body, it will depos­it in soft tis­sues and can there­fore have implic­a­tions in harden­ing of the arter­ies. This is the neg­at­ive asso­ci­ation cal­ci­um is now get­ting in car­di­ovas­cu­lar dis­ease. Calcium itself is not the issue, just how it is being used and sup­ple­men­ted. 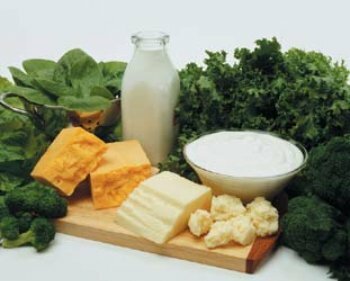 Calcium, while a very import­ant com­pon­ent of bone health, and the ‘star’ of the show, is not the only thing to con­sider. Cofactors are molecules that can be oth­er vit­am­ins, enzymes, or min­er­als that are like stage hands or the back­stage crew in a play; they are essen­tial in turn­ing on the lights in the show in order for cal­ci­um to know where to go. These ‘stage hands’ are vit­am­in D, boron, stron­ti­um, mag­nesi­um, and a new­er named but very import­ant vit­am­in K2 just to name a few. For those of you who are curi­ous, vit­am­in K2 is a fat-sol­uble vit­am­in that is not involved in clot­ting like its cous­in Vitamin K1 but dir­ects cal­ci­um into the bones along side mag­nesi­um, vit­am­in D, and vit­am­in A. I am over­sim­pli­fy­ing the import­ance of this vit­am­in for the pur­poses of this dis­cus­sion, but will dis­cuss it in a future post very shortly. The most import­ant point to take away from this post is that cal­ci­um is not actu­ally a det­ri­ment to the car­di­ovas­cu­lar sys­tem the way it is now assumed to be; it is merely that it has been sup­ple­men­ted incor­rectly. In addi­tion to the fact that we are over-con­sum­ing dairy products and sup­ple­ment­ing cal­ci­um it is a per­fect storm. Calcium sup­ple­ment­a­tion should involve ALL of the cofactors above in addi­tion to cal­ci­um in a for­mula, and then mod­er­a­tion of cal­ci­um in the diet should be mon­itored. In addi­tion to cow’s milk and cheeses, high cal­ci­um is found in most nuts, tahini (ses­ame paste), sardines, leafy greens such as kale and swiss chard… and is also now added in the prop­er bal­ance to altern­at­ive milks such as almond, rice, and soy milks. The amount of cal­ci­um per day depends on the per­son and the phase of life you are in — preg­nant moth­ers need far more (1500 mg) than 30-some­thing males (1200−1400 mg). However, bal­an­cing food sources of cal­ci­um with the sup­ple­ment­al ver­sion is import­ant to con­sider as a whole. Unlike vit­am­in C or B-vit­am­ins, we do not elim­in­ate the cal­ci­um we do not need, we store it, and as such there is more of a spe­cif­ic health-for­mula for cal­ci­um sup­ple­ment­a­tion. If you are not sure when and how to sup­ple­ment your cal­ci­um prop­erly, ask your natur­o­path­ic doc­tor. Stay tuned for inform­a­tion on Vitamin K2 — it is a fas­cin­at­ing his­tory!